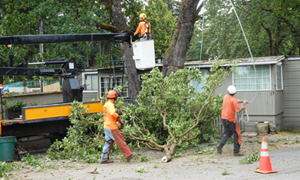 Are you looking for competent professionals for help trimming tall trees on your Fircrest, WA property? Place a call to Hunter's Tree Service. We are a fully insured tree company that has been providing tree pruning services in the region since 1976. When it comes to pruning large trees, you need a professional who is trained and equipped for not only tree trimming, but also tree climbing. Cutting away unwanted limbs from a tall tree is not the same as trimming a shorter tree. Trimming of tall trees is not a job for just any arborist. Pruning large trees safely means hiring experienced professionals who know the correct tree climbing techniques, are equipped with the right tree climbing gear, and have advanced tree pruning tools. 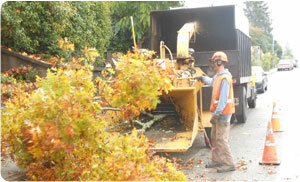 Assure yourself of smooth and seamless services by hiring us for pruning large trees on your property. Why Choose Us for Trimming Tall Trees in Fircrest? Choosing us for trimming tall trees offers you a lot more than an efficient pruning job! We are a family-owned and operated business that gives top priority to its customers. We go all out to ensure that you are 100% satisfied with our services. You will be glad you chose us for trimming tall trees! 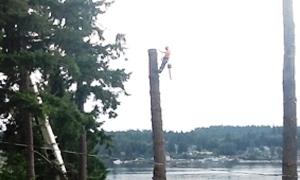 Call Hunter's Tree Service at 253-777-1938 to learn more about our tree climbing services for Fircrest residents.